Colin Green Photography: Luddenden Dene, an updated selection of pictures. 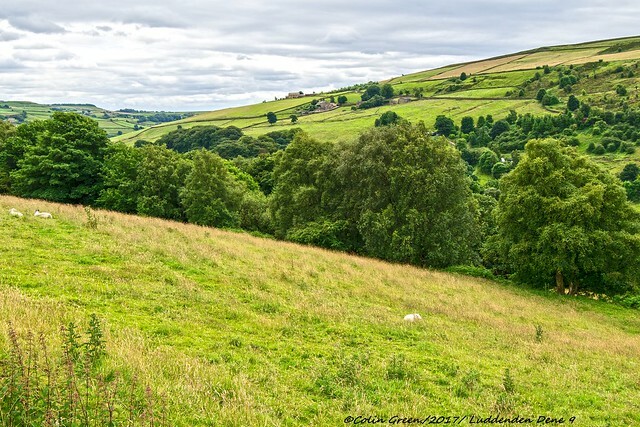 Luddenden Dene, an updated selection of pictures. 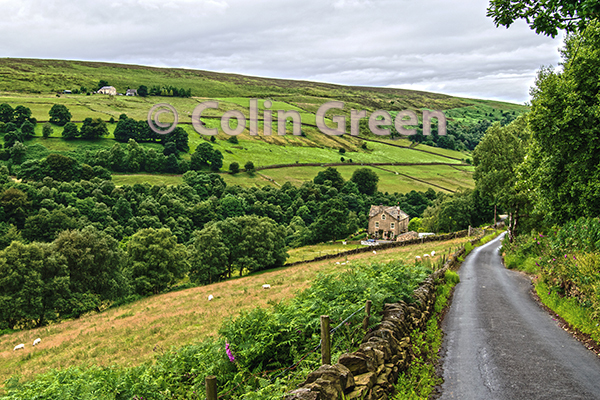 Luddenden Dean is a rural area of Calderdale, West Yorkshire with it has to be said not much going on anymore. At 1 time the area had a chapel, and a pub, features a couple of crossings over the Luddenden Brook and not really much else. It must have been a hard life and probably still is when the winter weather hits but that said I think it's one of the best places to walk in the area, with outstanding views and a sense of isolationism. The remains of Castle Carr are not too far from here but access is only allowed to the grounds at certain times and sadly when I was there this was not one of those occasions. The local pub the Cat I'th Well has traded since at least the 18th Century and local legend says that the nearby Cat Rocks must be painted white by the Landlord on a certain day of the year or the pub will fail. One year the Landlord painted them a different colour and the pub was bankrupt before the years end. The local stream Caty Well Brook flows into the Luddenden Brook running under the road near to the pub. Approx. 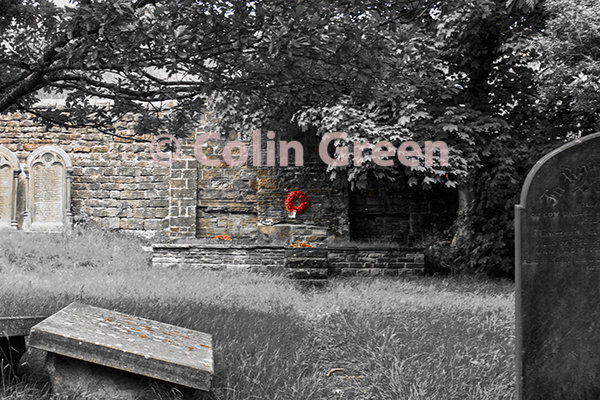 1 mile west from here is the remains of the Luddenden Methodist Chapel. 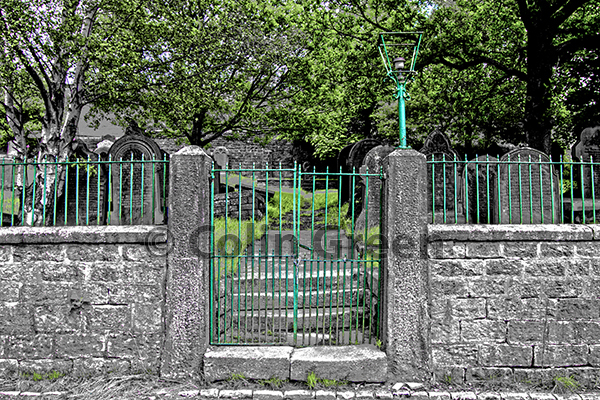 The chapel was opened in the 1820's and provided a place for the local community to worship. It was destroyed by fire on the night of Monday January 4th 1954 devastating the small congregation that attended the chapel regularly. Services then moved to the nearby Sunday School and continued to meet there until November 1978. 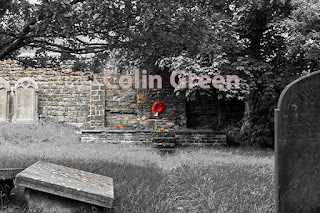 The graveyard is still used for burials and there is a communal grave for the orphaned children who died whilst working at Calvert's Mill, Wainstalls, the youngest being only 12 years old. The Pictures were taken in July 2016 and can viewed in 2 different albums on Flickr and Clickasnap. 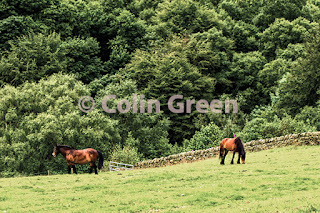 They were taken using a Nikon D3300 SLR Camera. Use the arrows to navigate the album or click to view full size on Flickr. There are 13 pictures to view on Flickr. The Clickasnap album can be seen by clicking here. Opens in another window. There are 5 pictures in the album and they can be seen below in reduced quality and watermarked. 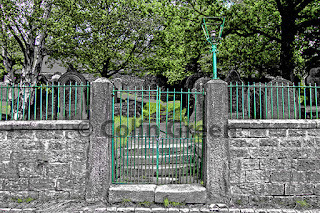 Click here to view "Beyond the Gates" on Clickasnap. 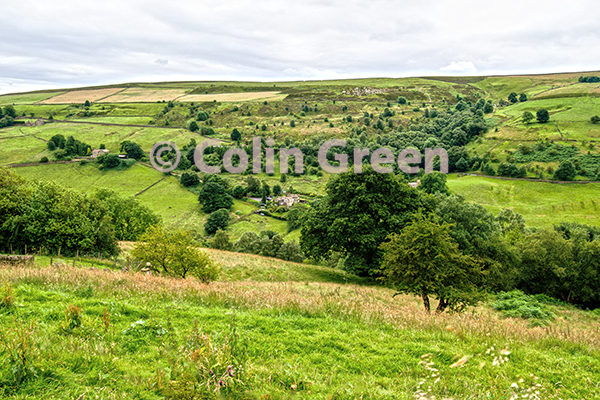 Click here to view "Luddenden Dene Valley" on Clickasnap.